Looks like we’ve got a Kansas City native in the house! 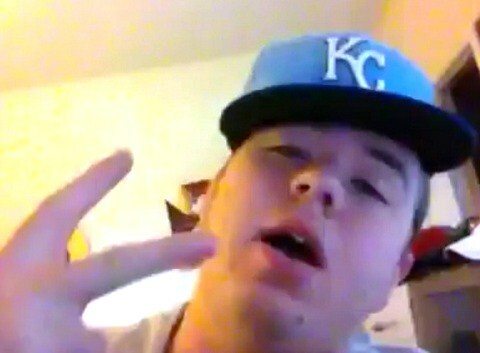 Representin’ in his KC hat, this fan covers Tech N9ne’s verse on his collaboration with T.T. and Twista in “Midwest Meltdown”. As he states in the video, Tech goes pretty hard on this joint. Anyone who attempts to do a Tech cover deserves some serious credit, especially if it’s a stab at his quicker rhymes. This kid steps up to the plate and does it with confidence. He seems pretty pleased with himself toward the end of the video. Hopefully he’ll show us more of what he’s got. Can you do Tech N9ne’s verse?